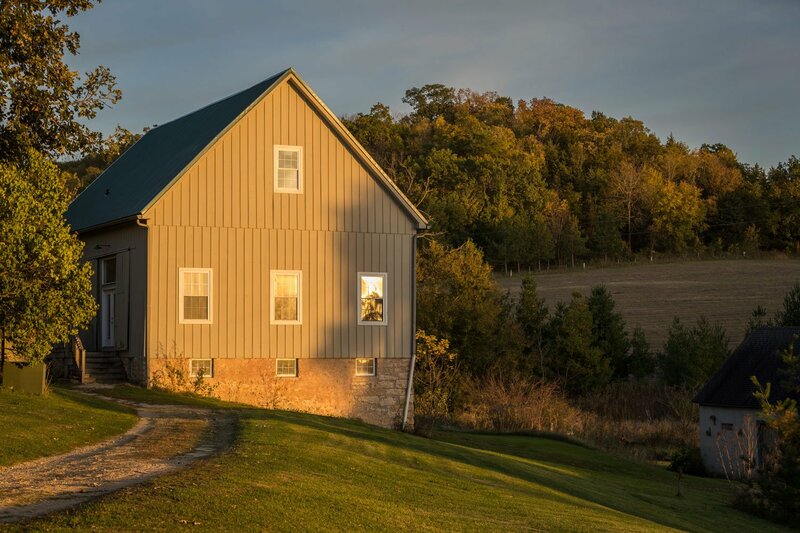 Plan your next business retreat or corporate function at Hawk Valley Retreat & Cottages, just a few short miles outside of Galena Illinois. Enjoy the exciting yet relaxing atmosphere that Hawk Valley Retreat has to offer. 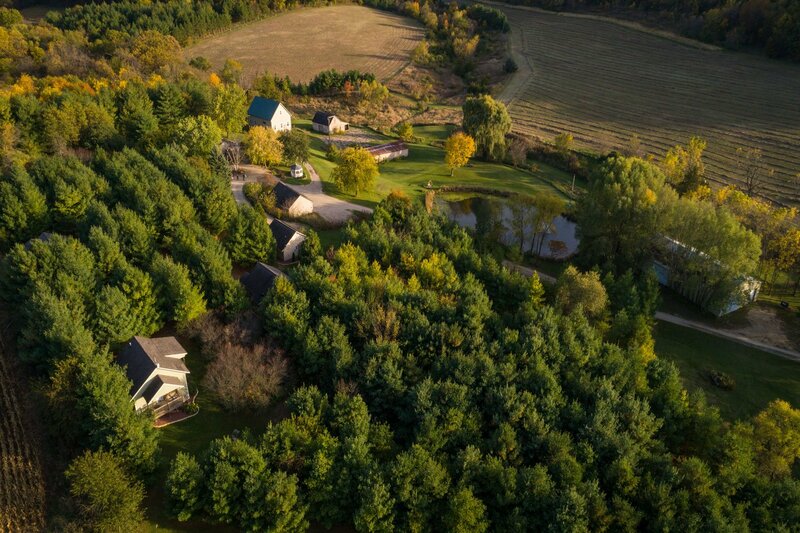 Ten secluded acres only eight miles from downtown Galena. Our property features four cottages and three guest rooms in the main house to accommodate seven individuals or fourteen, based upon double occupancy. 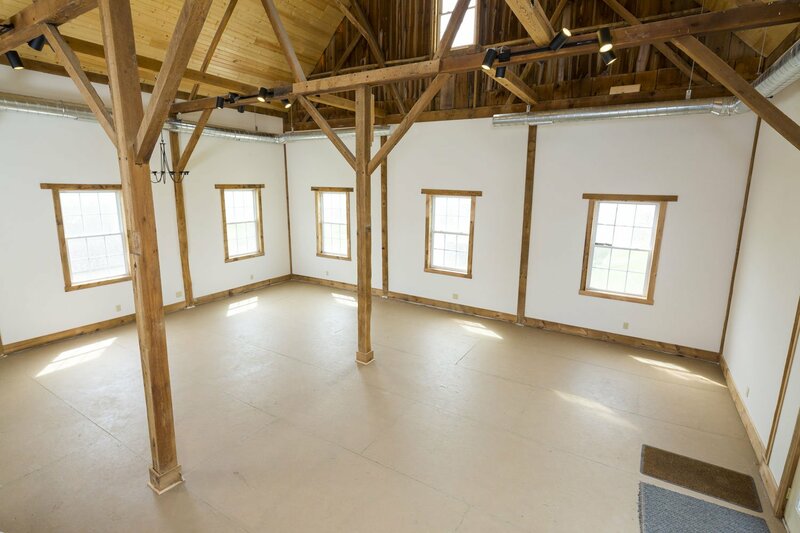 Having the entire property allows for the usage of the Cording Barn for your meetings. 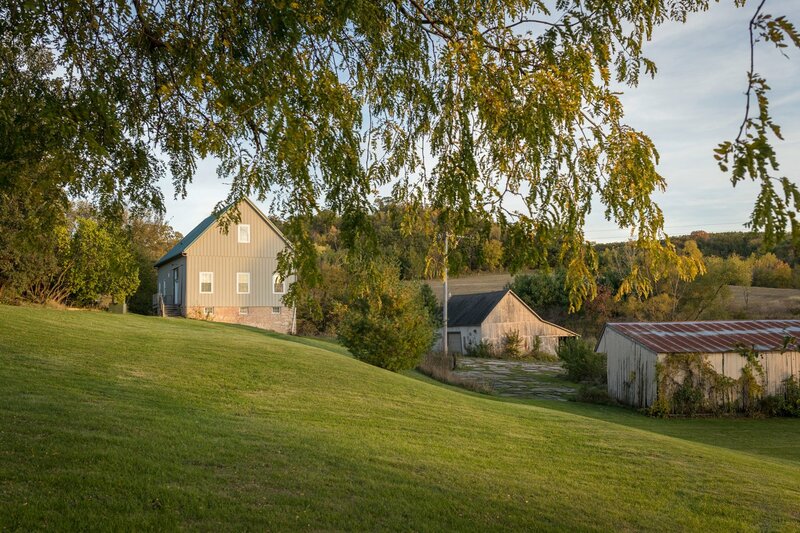 The barn, built back in 1905, while not totally renovated, has been update enough to meet your business retreat needs and yet still retains the feel of a 100 year old barn. The main floor has heat & air conditioning, a powder room, and plenty of space for all your meeting activities, plus wireless internet. The property offers a secluded business meeting location or a space for a fun and relaxing event. We invite you to experience the delight, charm, and history of a bygone era by visiting Galena and Jo Daviess County with all the conveniences of today. Planning an intimate corporate event near Chicago Illinois is easy and affordable. Hawk Valley Retreat offers a variety of options for your meeting and makes for a great place to get inspired and become refocused. Galena Illinois offers a wide variety of entertainment, restaurants, and shops. If you would like additional information regarding planning a corporate event or a corporate meeting in Galena Illinois, call (815) 777-4100. Single Day Event - $500. Looking for a location for a single day usage for a corporate meeting or other event? Consider the Cording Barn. The barn offers 750 square feet of space with much natural light. The single day rental fee includes setup/breakdown of table & chairs for your event, along with complimentary drinks, coffee, tea, & bottled water, cookies in the afternoon, glassware, dishes, and linens as needed. The barn can comfortably accommodate groups of up to 45 people depending upon the type of seating arrangement desired. We will be happy to help arrange catering for any food requirements you may need. No additional up-charges will be added to the catering bill for this service. A continental breakfast consisting of muffins, fresh fruit, juice, and coffee served in the barn each morning, can also be provided for an additional charge of $6.00/person/day. A $150.00 non-refundable deposit is required to reserve the barn at time of booking. Use of the property is restricted to the outside common areas of the property and the barn. 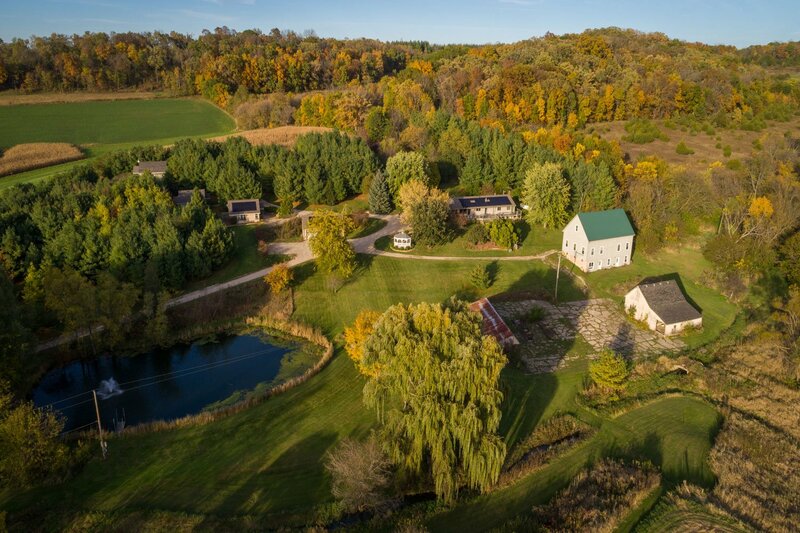 To reserve the barn for your next event or for additional information, please call 815-777-4100 or email us at innkeepers@hawkvalleyretreat.com. 2 Day Barn Rental - $750. Need space for 2 days while working on scrapbooks or quilts or other event? How about getting together the family to do some genealogy research? Consider the Cording Barn. The space offers 750 square feet of space with much natural light. Rental of the barn space is $550 for a 2 day usage. This fee includes setup/breakdown of table & chairs for your event, along with complimentary drinks, coffee, tea, & bottled water, cookies in the afternoon, glassware, dishes, and linens as needed. The barn can comfortably accommodate groups of up to 45 people depending upon the type of seating arrangement desired. A $150.00 non-refundable deposit required at time of booking. We will be happy to help arrange catering for any food requirements you may need. No additional up-charges will be added to the catering bill for this service. A continental breakfast consisting of muffins, fresh fruit, juice, and coffee served in the barn each morning, can also be provided for an additional charge of $6.00/person/day. Use of the area is restricted to the outside common areas and the barn. No overnight parking is available.